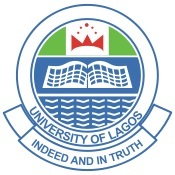 THE University of Lagos, Unilag UTME Supplementary/Direct Entry (D.E) Admission list for the 2018/2019 academic session has been released, and published online on JAMB official website. All participants who sat for the Unilag screening exercise, should note that the Unilag UTME supplementary/DE admission list, which contain the names of all candidates who have been successfully admitted into the academic institution for the 2018/19 session is out. All candidates/participants are requested to check their admission status on JAMB website now via this guidelines and procedures share below. 2. Then proceed and type in your JAMB Registration Number. 3. After entering your correct jamb reg number, click on “Check Admission Status” to view your admission details. It is very important for all participants to note here, that if they have been admitted,they are required to immediately proceed to request for their official JAMB admission Letter. Just in case you are not aware, the JAMB Official admission letter validates your admission. Congratulation to all successfully admitted candidates. It is very important to share this information with your friends, don’t forget to share this information on “how to check UNILAG UTME Supplementary/Direct Entry Admission List For 2018/2019” using the share buttons below.